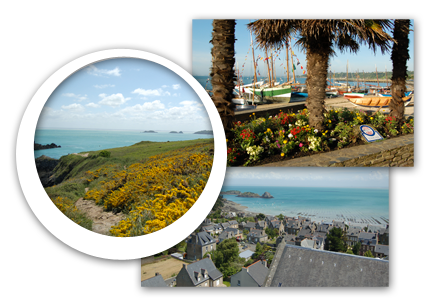 You are in the heart of the Bay of Mont-Saint-Michel and walks around are beautiful. On the other hand, your hostess has put together a welcome book where you will find many information to guide you on your arrival. Photo credits: office de tourisme du Mont Saint-Michel. Wearing his sculptural Abbey and its sparkling golden archangel, nestled between sand and waves in a bay Heritage Site by UNESCO. 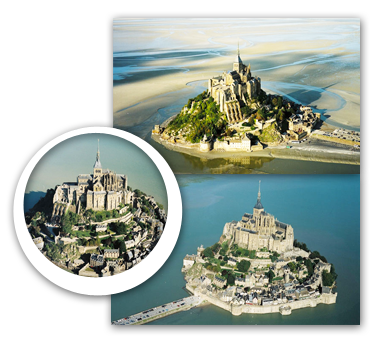 Le Mont-Saint-Michel stands for nearly a millennium on its rocky outcrop. 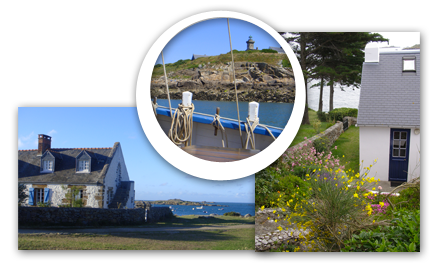 In the heyday of cod fishing, Granville has long been coveted as a strategic maritime position and from the 15th century, a fortified enclosure is built on a rocky headland. It is nice to draw an atmosphere permeated the obstinacy of marine as well as the elegance of the city dwellers resort. Coll.service communication – Ville de Granville, photographer S.POULAIN-STEIN. Cast off and sail to this island paradise. A concentrate of nature and biodiversity on five thousand hectares. This is in the port of la Houle and its quaint back streets that you can still smell the old Cancale. The Pointe du Grouin is overlooking the sea 40 meters. This rocky outcrop close the western coast of the bay. Beautiful view of the Mont-Saint-Michel, Chausey Islands and the Normandy coast. 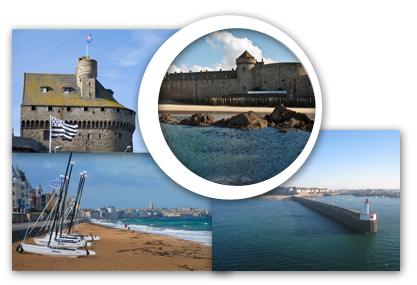 Famous explorers and pirates, greatest writers of the world, Saint-Malo has always attracted the dream. 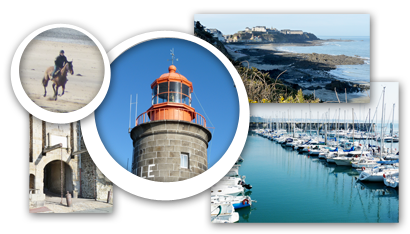 The incredible fortifications of Vauban, the highest tides in Europe, the largest yachts at the foot of the ramparts … All images etched in memory.